I have just been in Sao Paulo to give a lecture at the opening of a new university institute, ‘Question of Science‘. Under the leadership of Natalia Pasternak, the institute will promote scepticism in Brazil, particularly in the area of alternative medicine. Brazil currently has no less than 29 types of alternative medicine paid for with public money, and even homeopathy is officially being recognised and taught at all Brazilian medical schools. But the most peculiar case of Brazilian quackery must surely be phosphoethanolamine. Gilberto Chierice, a Chemistry Professor at the University of São Paulo, used resources from a campus laboratory to unofficially manufacture, distribute, and promote the chemical to cancer patients claiming that it was a cheap cure for all cancers without side-effects. Remarkably, this was in the total absence of through clinical testing. In September 2015, university administrators therefore began preventing him from continuing with this practice. However, in October 2015, several courts in Brazil ruled in favour of plaintiffs who wanted the compound to remain available. In an unusual move of defence of common sense, a state court overturned the lower courts’ decision a month later, and the secretary for Brazil’s science and technology ministry promised to fund further research on the compound. In 2016, a law was passed in Brazil allowing the sale of synthetic phosphorylethanolamine for cancer treatment. Due to opposition from the Brazilian Medical Association, the Brazilian Society of Clinical Oncology, and the regulatory agency ANVISA, the country’s Supreme Court then suspended the law. I was told that a stepwise plan of clinical testing had been implemented. As the drug even failed to pass the most preliminary tests, the program had to be aborted. Someone dreams up a ‘cure’ for all cancers that is cheap and free of side-effects. This appeals to many desperate cancer patients who are fighting for their lives. It also attracts several entrepreneurs who are hoping to make a fast buck. The story is picked up by the press and consequently a sizable grass-roots movement of support emerges. Populist politicians jump on the vote-winning band-waggon. The experts caution that the bogus cancer ‘cure’ is devoid of evidence and might put patients’ lives at risk. Law suits start left, right and centre. Eventually, the cancer ‘cure’ is scientifically tested and confirmed to be bogus. Eventually, the law rules against the bogus ‘cure’. A conspiracy theory emerges stating that the cancer ‘cure’ was unjustly suppressed to protect the interests of Big Pharma. A few years later, the subject re-surfaces and the whole cycle starts from the beginning. Such stories remind us that fighting bogus claims is hugely important, even if it does not always succeed or turns out to be merely an exercise of damage limitation. Every life saved by the struggle against quackery makes it worthwhile. I wish the new Institute ‘Question of Science‘ all the luck it richly deserves and desperately needs. Once the omnipotent heroes in white, physicians today are at risk of losing the trust of their patients. Medicine, some would say, is in a deep crisis. Shouldn’t we start to worry? The patient-doctor relationship, it seems, is at the heart of this argument. Many patients are deeply dissatisfied with this aspect of medicine. A recent survey on patients consulting GPs and complementary practitioners in parallel and for the same problem suggested that most patients are markedly more happy with all facets of the therapeutic encounter as offered by complementary practitioners. This could explain the extraordinary rise of complementary medicine during recent years. The neglect of the doctor-patient relationship might be the gap in which complementary treatments build their nest. Poor relationships could be due to poor communication. Many books have been written about communications skills with patients. But never mind the theory, the practice of all this may be less optimal than we care to believe. Much of this may simply relate to the usage of language. Common terms such as ‘stomach’, ‘palpitations’, ‘lungs’, for instance, are interpreted in different ways by lay and professional people. Words like ‘anxiety’, ‘depression’, and ‘irritability’ are well defined for doctors, while patients view them as more or less interchangeable. At a deeper level, communication also relates to concepts and meanings of disease and illness. For instance, the belief that a ‘blockage of the bowel’ or an ‘imbalance of life forces’ lead to disease is as prevalent with patients as it is alien to doctors. Even on the most obvious level of interaction with patients, physicians tend to fail. Doctors often express themselves unclearly about the nature, aim or treatment schedule of their prescriptions. Patients want to be understood as whole persons. Yet modern medicine is often seen as emphazising a reductionistic and mechanistic approach, merely treating a symptom or replacing a faulty part, or treating a ‘case’ rather than an individual. In the view of some, modern medicine has become an industrial behemoth shifted from attending the sick to guarding the economic bottom line, putting itself on a collision course with personal doctoring. This has created a deeply felt need which complementary medicine is all too ready to fill. Those who claim to know the reason for a particular complaint (and therefore its ultimate cure) will succeed in satisfying this need. Modern medicine has identified the causes of many diseases while complementary medicine has promoted simplistic (and often wrong) ideas about the genesis of health and disease. The seductive message usually is as follows: treating an illness allopathically is not enough, the disease will simply re-appear in a different guise at a later stage. One has to tackle the question – why the patient has fallen ill in the first place. Cutting off the dry leaves of a plant dying of desiccation won’t help. Only attending the source of the problem, in the way complementary medicine does, by pouring water on to the suffering plant, will secure a cure. This logic is obviously lop-sided and misleading, but it creates trust because it is seen as holistic, it can be understood by even the simplest of minds, and it generates a meaning for the patient’s otherwise meaningless suffering. Doctors, it is said, treat diseases but patients suffer from illnesses. Disease is something an organ has; illness is something an individual has. An illness has more dimensions than disease. Modern medicine has developed a clear emphasis on the physical side of disease but tends to underrate aspects like the patient’s personality, beliefs and socioeconomic environment. The body/mind dualism is (often unfairly) seen as a doctrine of mainstream medicine. Trust, it seems, will be given to those who adopt a more ‘holistic’ approach without dissecting the body from the mind and spirit. Empathy is a much neglected aspect in today’s medicine. While it has become less and less important to doctors, it has grown more and more relevant to patients. The literature on empathy is written predominantly by nurses and psychologists. Is the medical profession about to delegate empathy to others? Does modern, scientific medicine lead us to neglect the empathic attitude towards our patients? Many of us are not even sure what empathy means and confuse empathy with sympathy. Sympathy with the patient can be described as a feeling of ‘I want to help you’. Empathy, on these terms, means ‘I am (or could be) you’; it is therefore some sort of an emotional resonance. Empathy has remained somewhat of a white spot on the map of medical science. We should investigate it properly. Re-integrating empathy into our daily practice can be taught and learned. This might help our patients as well as us. Lack of time is another important cause for patients’ (and doctors’) dissatisfaction. Most patients think that their doctor does not have enough time for them. They also know from experience that complementary medicine offers more time. Consultations with complementary practitioners are appreciated, not least because they may spend one hour or so with each patient. Obviously, in mainstream medicine, we cannot create more time where there is none. But we could at least give our patients the feeling that, during the little time available, we give them all the attention they require. Other reasons for patients’ frustration lie in the nature of modern medicine and biomedical research. Patients want certainty but statistics provides probabilities at best. Some patients may be irritated to hear of a 70% chance that a given treatment will work; or they feel uncomfortable with the notion that their cholesterol level is associated with a 60% chance of suffering a heart attack within the next decade. Many patients long for reassurance that they will be helped in their suffering. It may be ‘politically correct’ to present patients with probability frequencies of adverse effects and numbers needed to treat, but anybody who (rightly or wrongly) promises certainty will create trust and have a following. Many patients have become wary of the fact that ‘therapy’ has become synonymous with ‘pharmacotherapy’ and that many drugs are associated with severe adverse reactions. The hope of being treated with ‘side-effect-free’ remedies is a prime motivator for turning to complementary medicine. Complementary treatments are by no means devoid of adverse reactions, but this fact is rarely reported and therefore largely unknown to patients. Physicians are regularly attacked for being in league with the pharmaceutical industry and the establishment in general. Power and money are said to be gained at the expense of the patient’s well-being. The system almost seems to invite dishonesty. The ‘conspiracy theory’ goes as far as claiming that ‘scientific medicine is destructive, extremely costly and solves nothing. Beware of the octopus’. Spectacular cases could be cited which apparently support it. Orthodox medicine is described as trying to ‘inhibit the development of unorthodox medicine’, in order to enhance its own ‘power, status and income’. Salvation, it is claimed, comes from the alternative movement which represents ‘… the most effective assault yet on scientific biomedicine’. Whether any of this is true or not, it is perceived as the truth by many patients and amounts to a serious criticism of what is happening in mainstream medicine today. A few days ago, I published an article in the ‘Sueddeutsche Zeitung’ (a truly rare event, as I have never done this before) where I argued that German pharmacists should consider stopping the sale of homeopathic remedies. It violates their ethical code, I suggested. While this discussion has been going on for a while in the UK (British pharmacists have stopped inviting me to their gatherings because I get on their nerves with banging on about this! ), it is relatively novel in Germany. After I had submitted my copy to the SZ, an article was published which is highly relevant to this subject. Here I first copy an extract of the German original, and below I try to briefly explain its content to those who do not read German. In vielen Apotheken werden Kunden nicht hinreichend gut zu Homöopathika beraten. Zu diesem Ergebnis kommt Professor Tilmann Betsch, an der Universität Erfurt Leiter der Professur für Sozial-, Organisations- und Wirtschaftspsychologie, der mit seinem Team 100 zufällig ausgewählte Apotheken in Stuttgart, Erfurt, Leipzig und Frankfurt auf Herz und Nieren geprüft hat. Im Mittelpunkt der Kundengespräche stand eine Beratung zu einem erkälteten Familienmitglied. “Zum einen zeigen unsere Ergebnisse, dass im Falle eines grippalen Infektes die überwiegende Mehrzahl von ihnen zu schulmedizinischen Präparaten rät, die mit hoher Wahrscheinlichkeit zu einer Linderung der Symptome führen”, erläutert Betsch. Was die Wirkung von Homöopathika betreffe, so zeichne das Untersuchungsergebnis ein eher düsteres Bild, ergänzt er. Denn in nur fünf Prozent aller Beratungsgespräche sei gesagt worden, dass es für die Wirkung von Homöopathie keine wissenschaftlichen Belege gäbe. In 30 Prozent sei dagegen behauptet worden, die Wirkung von Homöopathie sei entweder in Studien nachgewiesen oder ergebe sich aus dem Erfahrungswissen. “Nach den Leitlinien der Bundesapothekenkammer soll jedoch die Beurteilung der Wirksamkeit von Präparaten nach pharmakologisch-toxikologischen Kriterien erfolgen. Zumindest was die Begründung ihrer Empfehlungen betrifft, folgte die überwiegende Mehrheit der von uns befragten Apotheker diesen Leitlinien nicht”, so Betschs Fazit. Während die Empfehlungen der Apotheker in der Regel nachweislich wirksame Medikamente enthalten hätten, habe sich ihr Wissen über die Wirkung von Homöopathie mehrheitlich nicht von Laien-Meinungen unterschieden. Professor Tilmann Betsch has conducted a study showing that German pharmacists fail their customers when advising them on homeopathy. His team went under cover as patients with flue-like symptoms to 100 randomly selected pharmacists. Only 5% of the pharmacists admitted that homeopathics have no proven efficacy, while 30% claimed homeopathics have been proven to work in studies and through experience. This behaviour, Betsch explains, violates the current guidelines for pharmacists. I am delighted with these findings; they confirm my arguments perfectly. CUSTOMER: I have a flu, is there a homeopathic remedy against it? CUSTOMER: Can I have it please? PHARMACIST: If you insist; but I must warn you: it has been shown not to work, and there is absolutely nothing in it that could possibly work. CUSTOMER: What? Why do you sell it then? PHARMACIST: Because some people like it. CUSTOMER: Even though it does not work? CUSTOMER: And some people still buy it? CUSTOMER: Well, not I! I am not a fool. But thank you for your honest information. Can I have something else that alleviates my symptoms? The fate of homeopathy in Germany is largely in the hands of pharmacists, it seems. But, is it in good, ethical hands? Is there hope that progress can be made? We will see – so far, I have heard of just one!!! pharmacy that has stopped displaying homeopathics on its shelves. Does the wish of a patient over-rule medical knowledge? This was one brave conclusion drawn in a discussion about homeopathy during a recent German radio programme. Specifically, the discussion was about the pros and cons of a leading paediatric hospital of the Ludwig Maximilian Universitaet (LMU) Munich offering homeopathy to its patients (they also run a course in homeopathy which we discussed previously). The wishes of a patient does not over-rule medical knowledge! This sentence made me think. An interesting question with ethical dimensions! The short answer is NO, I believe.. Patients can always refuse to have a given therapy, if they so wish. Or they might opt for one evidence-based therapy instead of another. And in certain circumstances such wishes may well be completely against the current best medical knowledge. But this is probably where the dominance of the patient’s wishes over medical knowledge ends — at least, if we only consider wishes paid for by the public purse (otherwise, anyone can, of course, buy almost any rubbish). We believe in evidence-based medicine (EBM) and are fully dedicated to its principles. We know that homeopathy is not evidence-based. Yet, many of the parents want us to use homeopathy in the treatment of their kids. And the wish of a patient over-rules the medical evidence. This is, of course, a flawed argument. One cannot subscribe to EBM and, at the same time, administer overt nonsensical, disproven treatments. A patient’s wish does not render a nonsensical treatment evidence-based. If one would follow the LMU logic, one would have to use any idiotic therapy … and could still pride oneself to follow EBM practice. In England, we call this ‘having the cake and eat it’; once you eat the cake, it’s gone and you cannot have it any longer. What follows is simple: the decision makers at the LMU have been found out with (homeopathically potentised) egg on their faces (for some reason they had this homeopathy enclave for years, it is well-established and, I suspect, even better protected by some people of influence). They quickly tried to find a way out of their dilemma. Unfortunately, they did not think hard enough; the solution to bank on patient choice turns out to be a non-solution. I therefore suggest they get in line with the role of a University hospital, with today’s medical thinking and medical ethics. This would mean re-considering their homeopathy course as well as their inclusion of homeopathy in publicly-funded routine care. Pro and Contra: should UK community pharmacists sell homeopathic remedies? … I do not believe there is good scientific evidence to validate homeopathic remedies as medicines, but it is important to provide patients with choice in an informed environment — pharmacists and pharmacy teams are able to provide this expertise. So, I’m not here to argue the science: I argue that some people can benefit from homeopathy. We ought to explore homeopathy’s placebo effect. Placebos are often dismissed as fakes, but they seem to act on the same brain pathways that are targeted by ‘real’ treatments. I wonder whether, through the placebo effect, homeopathy has a role to play in mental health treatment and pain relief. Whether for anxiety, mild-to-moderate depression, sleeplessness or stress, taking a little white tablet may benefit the patient, have fewer side effects than conventional medication, cause no harm, and is better than an excess of alcohol or illegal drugs. Of course, homeopathy should not replace conventional medicines, and people should continue to be vaccinated, should use their inhalers and take their insulin. Homeopathy should not be funded on the NHS, but we do not live in a nanny state. The clinical efficacy of many other products sold in the pharmacy is also questionable, but we still provide them. One example is guaifenesin for chesty coughs, which, at over-the-counter strength, provides a suboptimal dose. Many people are sceptical of the benefits of vitamin and mineral supplements. Bach flower remedies claim to tackle stress. We drink herbal tea for its ‘health’ benefits or buy fortified cereals because they are ‘better for you’, but these benefits are not clinically proven. If the public finds comfort in a complementary therapy — whether it is acupuncture, reflexology, vitamins or homeopathy — I am happy to offer that choice, as long as the chosen therapies do no harm, and people continue to take their prescribed medicines. If the patient wants my professional advice, I will explain that homeopathic medicines are not clinically proven but they may help certain conditions. I will probably recommend a different product, but at least I am there to do so. You will not find a pharmacist in a health shop or on the internet, but in the community pharmacy you will find a highly qualified medicines expert, who will advise and inform, and who truly cares about the public’s health. … given pharmacy’s heavy promotion of homeopathy, I feared that the profession was in danger of losing science as its bedrock. … in 2009, a London-based pharmacy was supplying homeopathic ‘swine flu formula’. This was a dangerous practice but government agencies failed to regulate it effectively or to close it down. 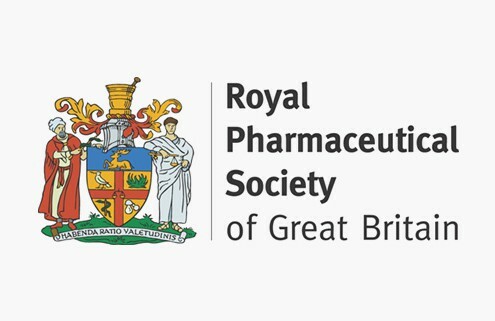 In 2010, the then professional standards director at Boots, Paul Bennett (now chief executive, Royal Pharmaceutical Society), appeared before the Science and Technology Committee in its discussion of homeopathy’s availability on the NHS. Bennett stood by the sale of homeopathic remedies in Boots’ stores: “It is about consumer choice for us,” he said. I disagree with this argument. Like the sale of cigarettes in US pharmacies, homeopathy threatens to fatally damage the reputation of community pharmacy. Pharmacies that sell homeopathic remedies give them unjustified credibility. Informed patient choice should be king; if pharmacists, pharmacy staff and shelf-barkers fail to clearly inform customers that homeopathic remedies are no more effective than placebo, we have acted unethically. Yet Boots, perhaps alarmed by the number of subsequent protests against homeopathy outside its stores, got the message. Its website now reflects a more scientific approach: the homeopathic remedies it supplies state that they are “without approved therapeutic indications”. Boots also seems to have modified its range and offering of homeopathic remedies. So there is hope for community pharmacy. Homeopathic remedies are still sold in pharmacies only because they make a profit. Sales in pharmacy are nonsense because, as most homeopathic practitioners claim, it is not possible to sell homeopathic remedies in isolation of a homeopathic consultation. The consultation determines the remedy. Off-the-shelf homeopathy is a relatively recent phenomenon. The remedies are no more effective compared with placebo, anyway. Systematic reviews from the Cochrane Library — the gold standard of medical science — have considered homeopathy in the treatment of dementia, asthma and attention deficit hyperactivity disorder, all of which have confirmed the placebo effect. Irritatingly, supporters of homeopathy will always, in any debate, quote a bunkum study that shows some possible efficacy. Some might argue that placebo, or suggestion, is effective therapy, so why not use it? We must question the ethics of this approach. Pharmacists act immorally when they sell the products without making clients aware that homeopathy does not work. … I find that most pharmacists, when asked, appreciate that homeopathy has no scientific basis and provides merely a placebo effect. I sincerely hope that with this insight, pharmacy will finally clear its shelves of this expensive hocus pocus for good. Homeopathy is based on implausible assumptions. Despite 200 years of research and around 500 clinical trials, there is still no proof that highly diluted homeopathic remedies have effects beyond placebo. Therefore, selling them to the naïve public, while pretending they are real medicines, is dishonest, arguably fraudulent and certainly not the behaviour one would expect of a healthcare professional. Pharmacists who nevertheless sell these remedies as medicines are in breach of their very own regulations. This, I admit, is not as clear as I had hoped (if my memory serves me right, this used to be much more explicit; in case anyone knows of a more suitable section in the code of ethics, please let me know); but it does preclude selling placebos, while pretending they are effective medicines.